Mortimer Singer is the Chief Executive Officer of TRAUB. Mortimer oversees all aspects of TRAUB’s business from global partnership development, management consulting to M&A investment activities in the fashion and retail industries. 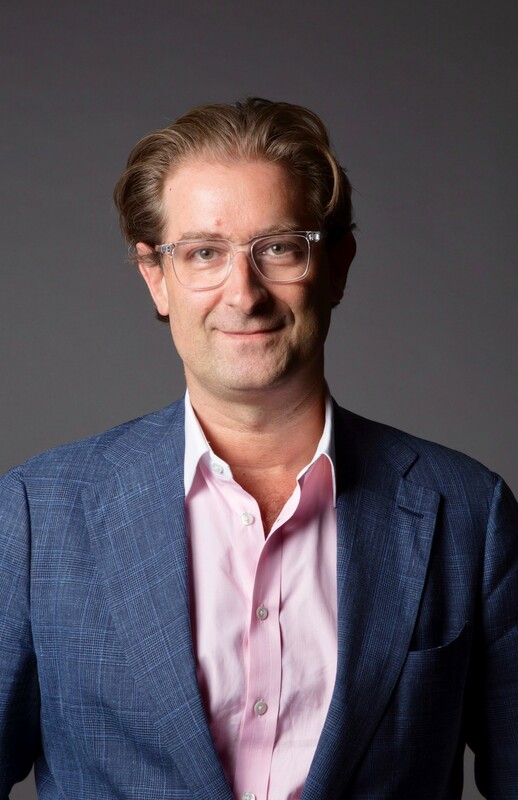 Mortimer is Co-Founder and Chairman of Orchard Mile, an online luxury marketplace. He also serves on the Board of Directors of Matthew Williamson. Mortimer serves on the Board of Trustees of Parsons The New School for Design; is the Vice Chairman of the French Institute Alliance Française (fi:af) in New York; and Co-founder and Chairman of Pin Down Bladder Cancer, a charity that raises awareness and funds for the Memorial Sloan Kettering Bladder Cancer Research Fund and the MD Anderson Cancer Center. In 2009, Mortimer co-authored To India With Love: From New York To Mumbai, Assouline Publishing, in support of the Taj Public Service Welfare Trust, a charity benefiting the victims and families of the 2011 Mumbai attacks. Mortimer started his career at JPMorgan in their TMT investment banking division, and holds a Bachelor of Arts degree from the University of Pennsylvania. He resides in New York City with his wife and two daughters. When Morty isn’t fooling people with his misleading English accent (he’s French-American), you can find him surfing on the shores of Biarritz or eagerly volunteering to be Master Taste Tester for one of our candy or chocolate clients. Morty’s day job is necessary as his side hustle likely won’t pay the bills.